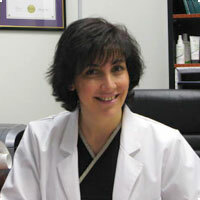 Dr Stefania Roberts has had an interest in venous disease for the past 13 years. She is a Phlebologist and Fellow of the Australasian College of Phlebology. Dr Roberts performs Ultrasound Guided Sclerotherapy and Endovenous Laser Ablation of varicose veins. She has an interest in venous mapping of lower limbs with ultrasound and performs microsclerotherapy.